LD Jamie Roderick and 4Wall Light New Musical Red Roses, Green Gold Featuring the Music of Jerry Garcia and Robert Hunter | Press Center | 4Wall Entertainment, Inc.
New York, NY- Red Roses, Green Gold, a new musical featuring the music of Jerry Garcia and Robert Hunter, opened last month at the Minetta Lane Theatre. 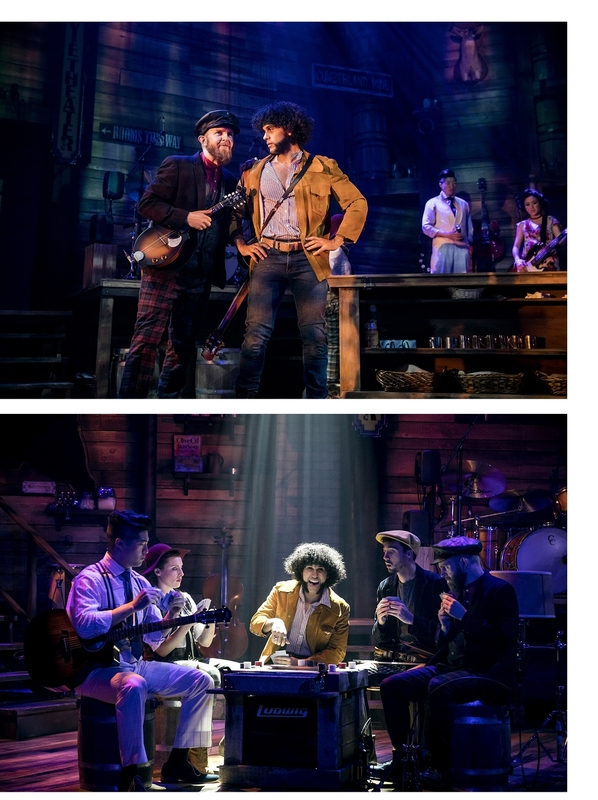 Lighting Designer Jamie Roderick utilized gear from 4Wall Entertainment to help tell the tale of Jackson Jones and his family of swindlers as they gamble their way to love and riches. The story centers around the Jones family at the Palace Saloon in Cumberland, USA. The set for the musical is mostly made up of wood paneling and requires lighting and projections to usher the audience to an array of locations in Cumberland. Roderick's goal for the lighting design was to create three strong layers of lighting that were able to work both independently and together. "First was the world of Cumberland and the Palace Saloon," said the LD. "I needed to let the book scenes of the show feel like a play and let the audience buy into each of the characters personal stories without them feeling overly heightened. " The second layer was the look and feel of a concert in the 70s and 80s. "I needed to respect the lighting of those eras when the Dead was touring," explained Roderick. "And give that nostalgia to the 'Deadheads' that were in our audience." The third look was a modern concert in the style of a current jam band which includes offshoot groups of the original Grateful Dead. 4Wall provided Vari*Lite VL3500 Spots which were versatile enough to answer the LD's design intentions. They delivered what was needed for a theatrical musical and were also capable of exploding into concert lighting. 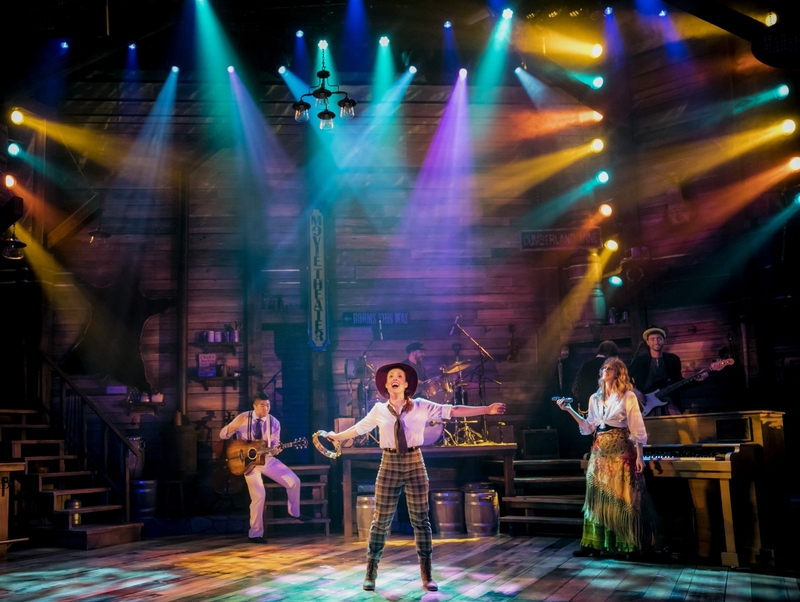 "For the theatrical scenes, a portion of our VL3500s act mostly as a high-side system with templates that matched the angle of the wooden slats making up the set," said the LD. "The other half of our VLs focused on a specific character or area of the set to highlight an emotional moment or designate an area on the stage." The VL3500 fixtures were also used to wash the set during most of the show. They blended into the projections creating a seamless collaboration between the departments. "For the concert moments, our high-side VLs mostly continued to support the scene, but upstage VLs were completely there to support the music and give the feeling of a rock concert," explained Roderick. "That is until the encore where all our VLs provided a full concert experience." 4Wall also supplied GLP Impression X4S moving lights which served a specific role for most of the show. "I used the X4S packed in clusters of 4, close together, and zoomed all the way down, to be able to create the look of ACLs from 1980s concerts," said Roderick. "I was able to provide a number of different focuses, fans, and colors as a throwback to that era of touring, but with only a handful of X4s instead of a massive ACL or par rig. There are also moments in the show where they zoom out a bit and do effects reminiscent of a back line of pars from that era." ETC ColorSource Spots were primarily used as front light following the McCandless method and allowed the LD to subtly change the color of his warms and cools for any given scene. "Our warms could help support a morning or a sunset slowly happening, our cools could be a morning cool, a night cool, a moonlight cool, or a stormy green cool.," explained Roderick. "Using the ColorSources this way gave us a wonderful amount of power in how we could use lighting to help support the storytelling." Chauvet Professional Colorado 1 Solos were used as back light. "They gave us incredible control over color at any given moment," said the LD. "The real benefit of the fixture is their zoom ability, giving us precise control over the size they should be to cover a specific area or to zoom in and highlight a moment important to the storytelling." The control system was comprised of 2 ETC Ion 6000 consoles and 2 ETC Net3 Gateways. All of the musical's tech and previews were on an ETC Gio 4000. Roderick was satisfied with the service and gear he received from 4Wall that have helped make Red Roses, Green Gold a hit with critics, musical lovers, and of course the Deadheads. "The service from 4Wall was fantastic from beginning to end," said Roderick. "Throughout the process, 4Wall has been there for any additional requests we've had. The equipment was also in excellent condition." The musical has opened to rave reviews and is currently running through the beginning of January 2018.